Video interviews, panel discussions, articles and Q&As featuring Tigra.com. Chris takes us through his stages of domain investing: educating himself, antique picking previously owned dropped domains, buying brandable expired domains and his first 2 profitable flips. 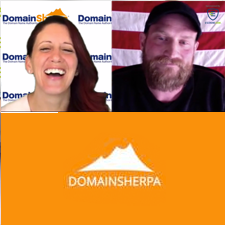 We touch on the tough topics of frontrunning and GoDaddy expired auction changes, plus the 4 letter word of domainers, CALL- with Chris’ current 100% success rate on phone calls!